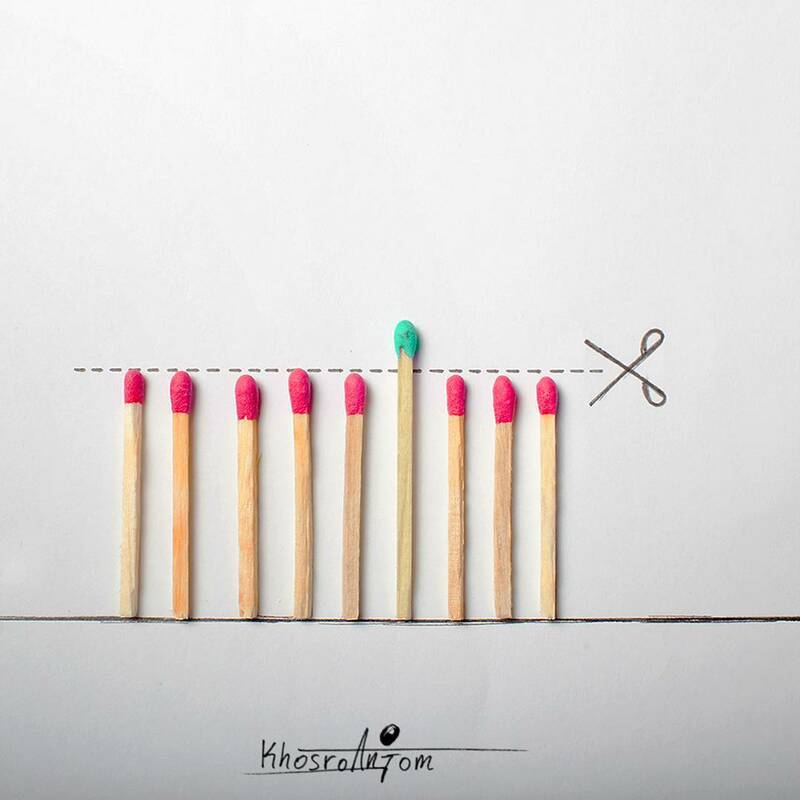 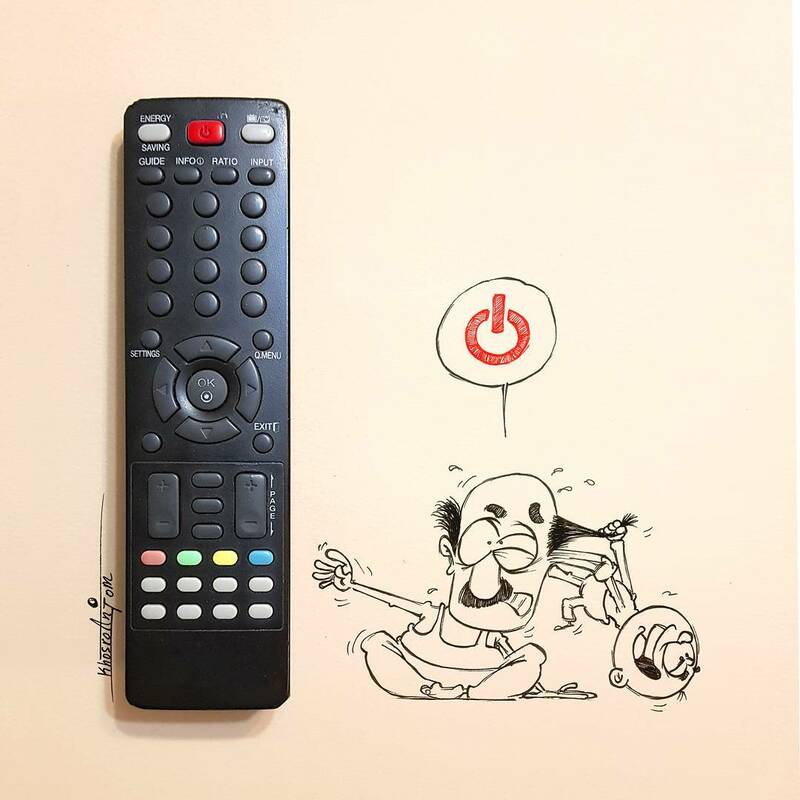 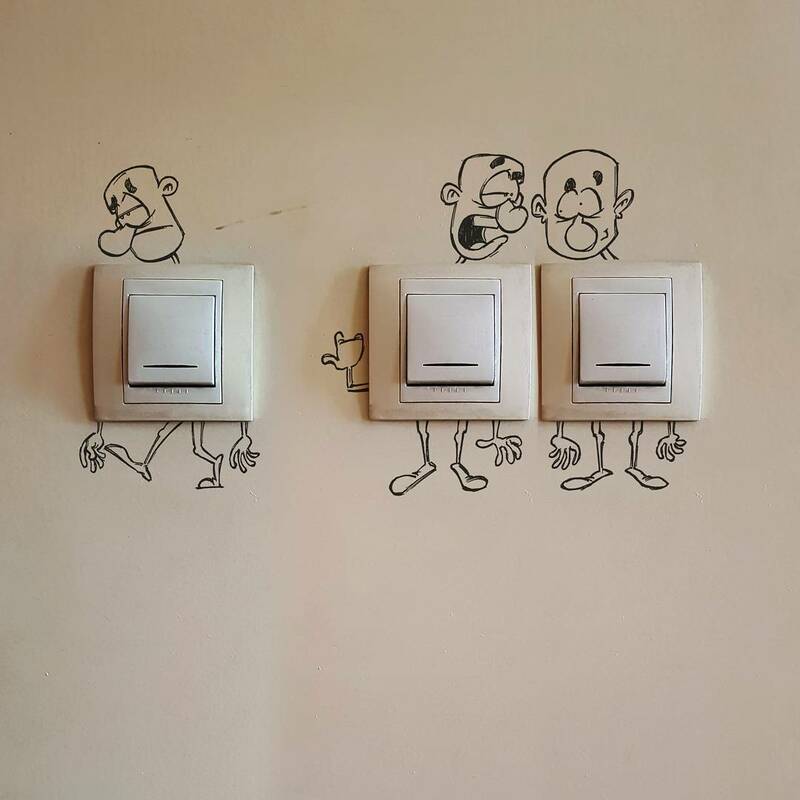 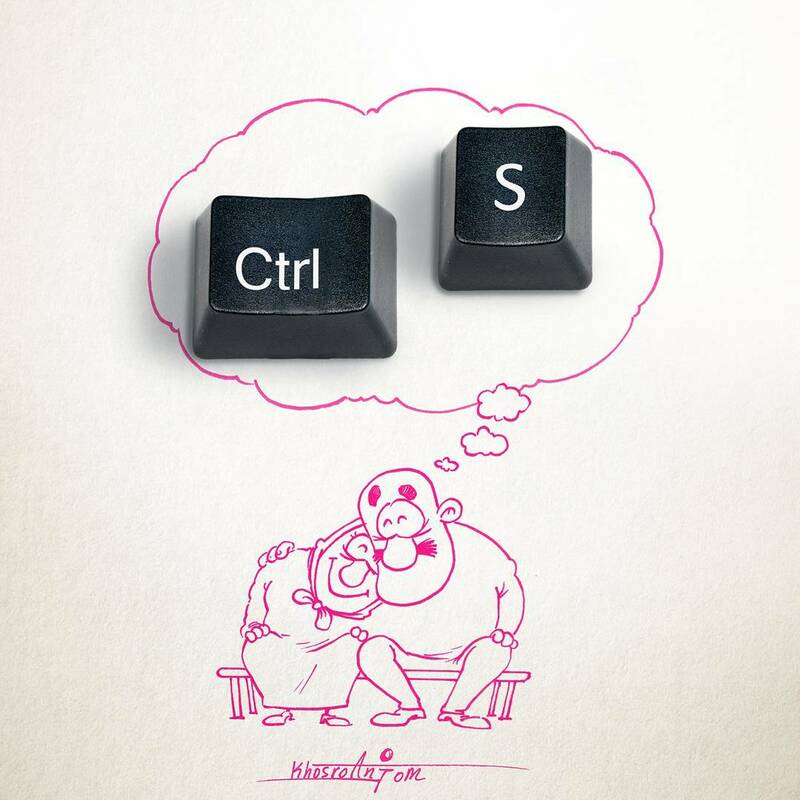 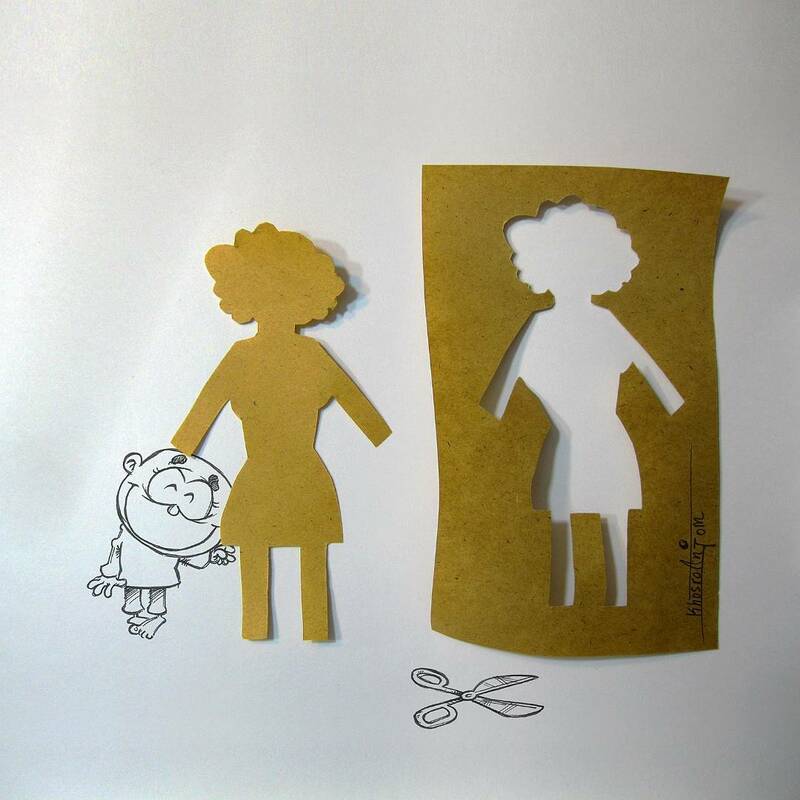 Unique cartoons by Iranian caricaturist Majid Khosroanjom have taken over the web! 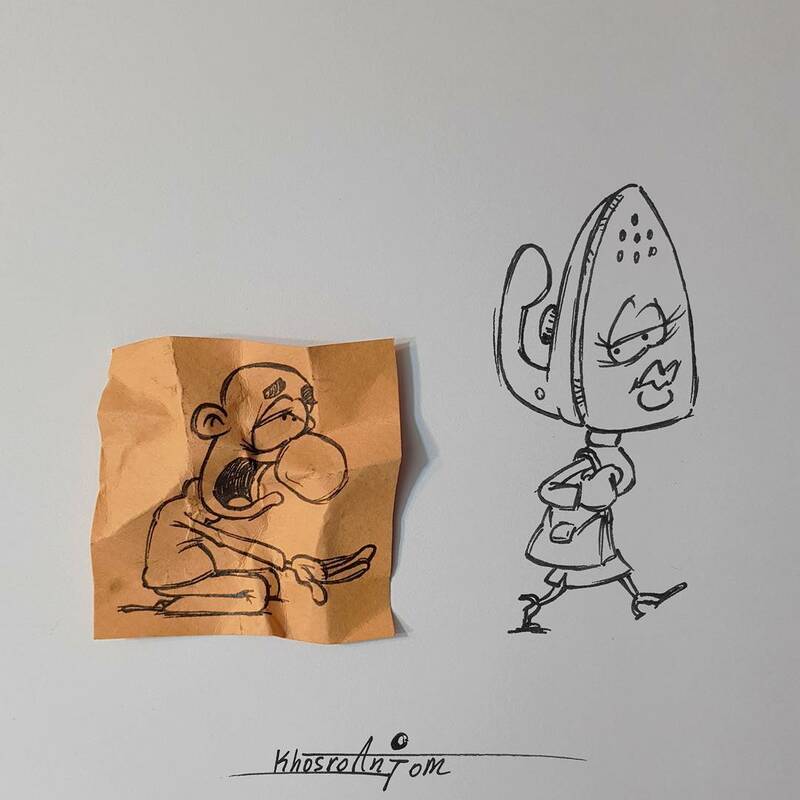 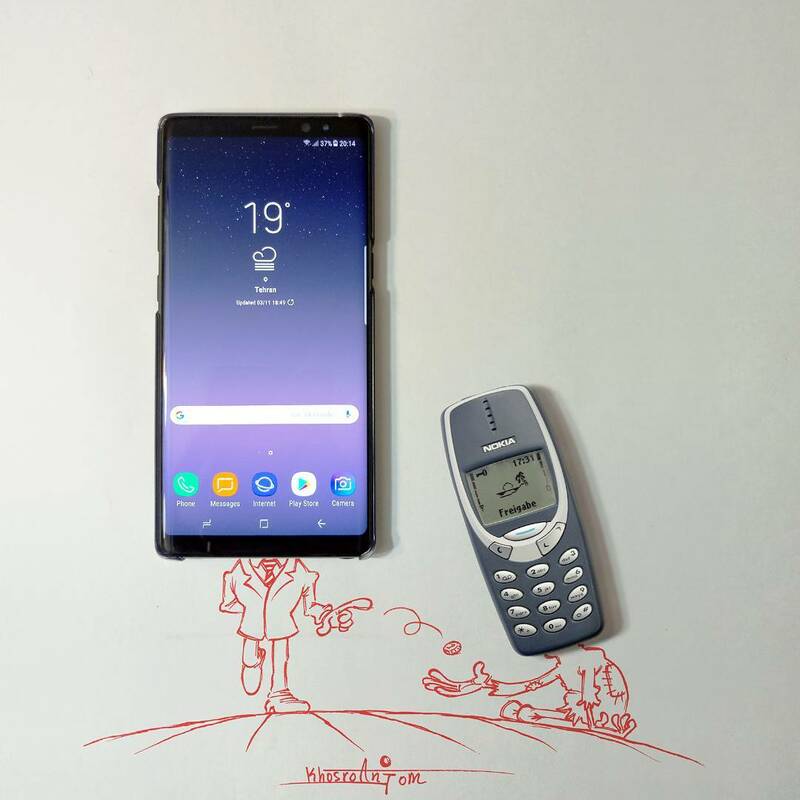 The cool cartoon pictures are made in a very unusual way – with a real object attached, they become vivid satirical and humorous photocompositions. 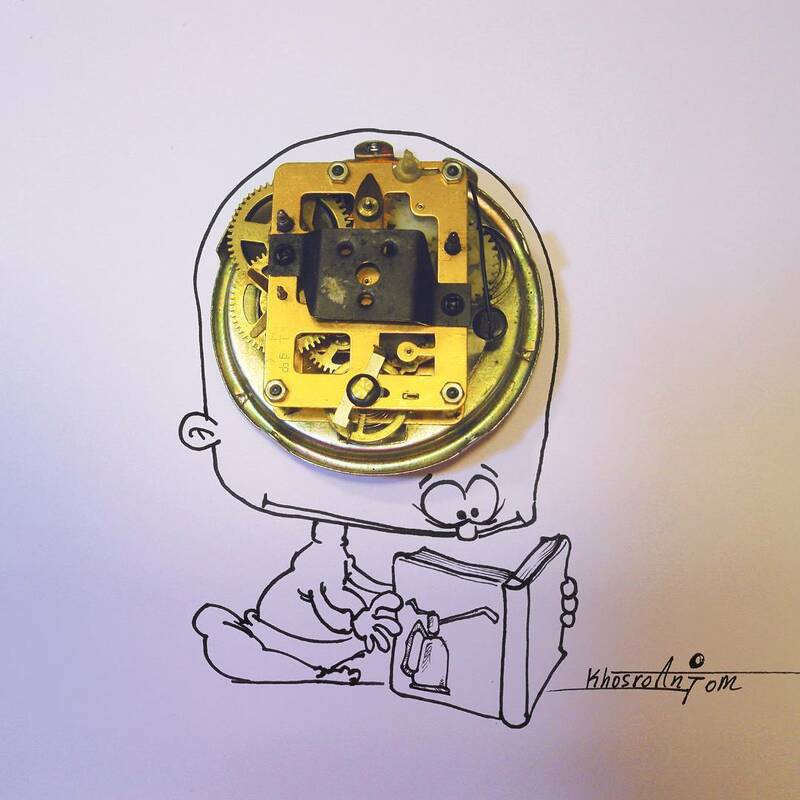 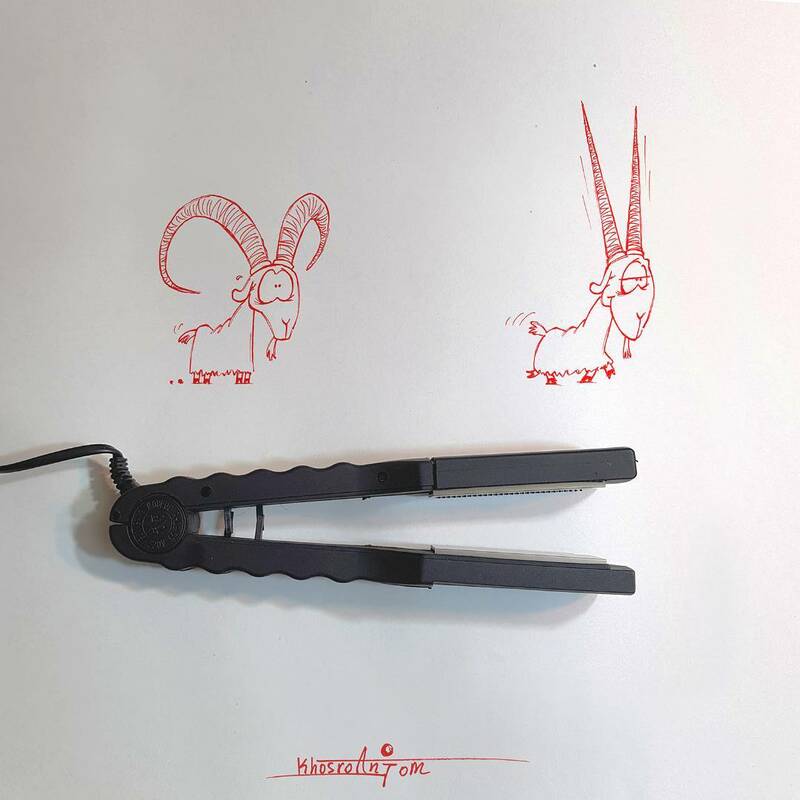 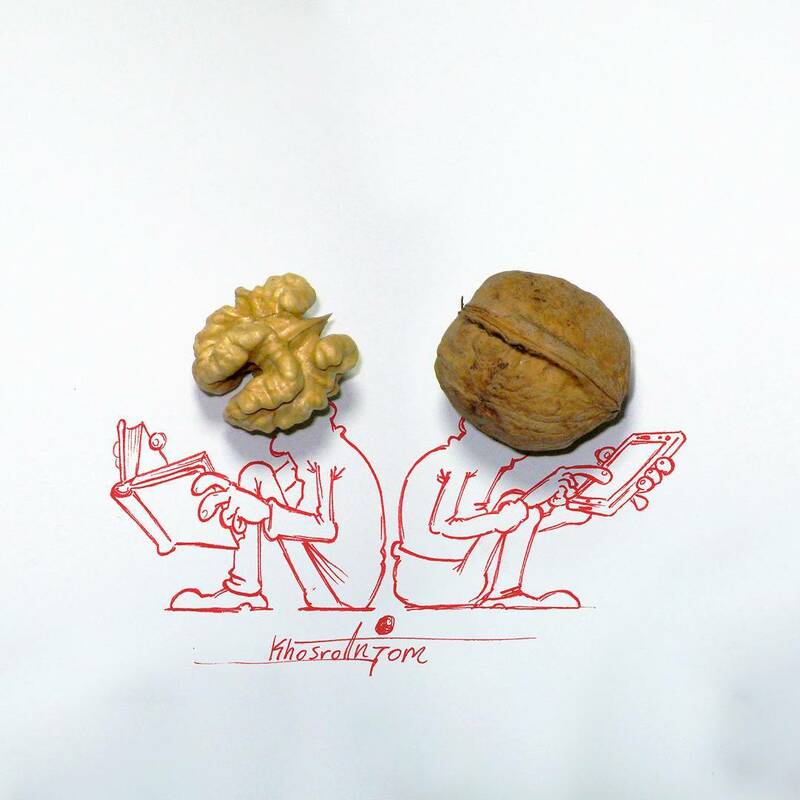 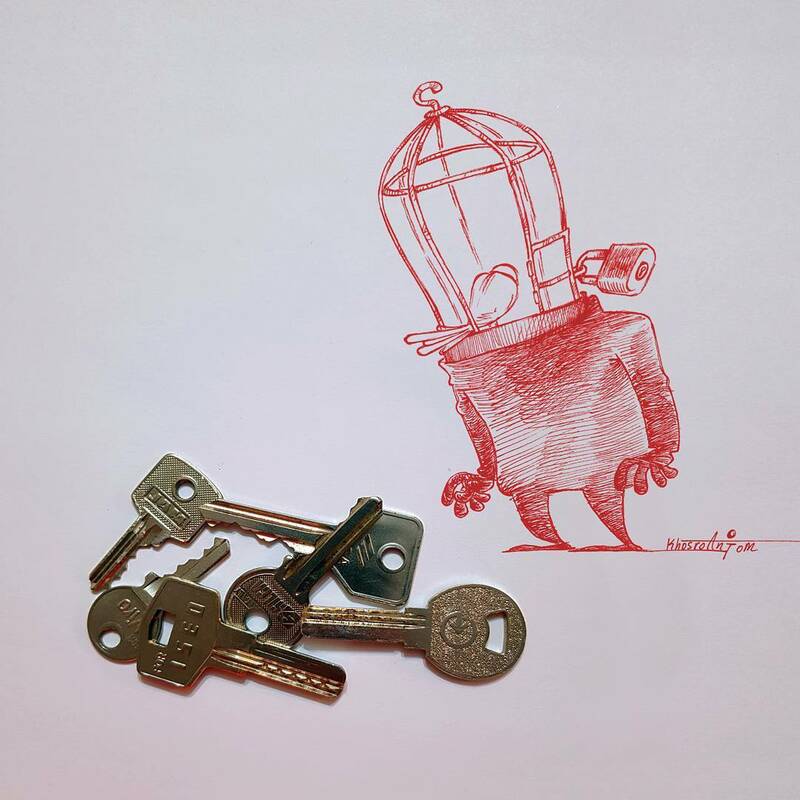 The unique style of the artist involves attaching a real object to his drawings. 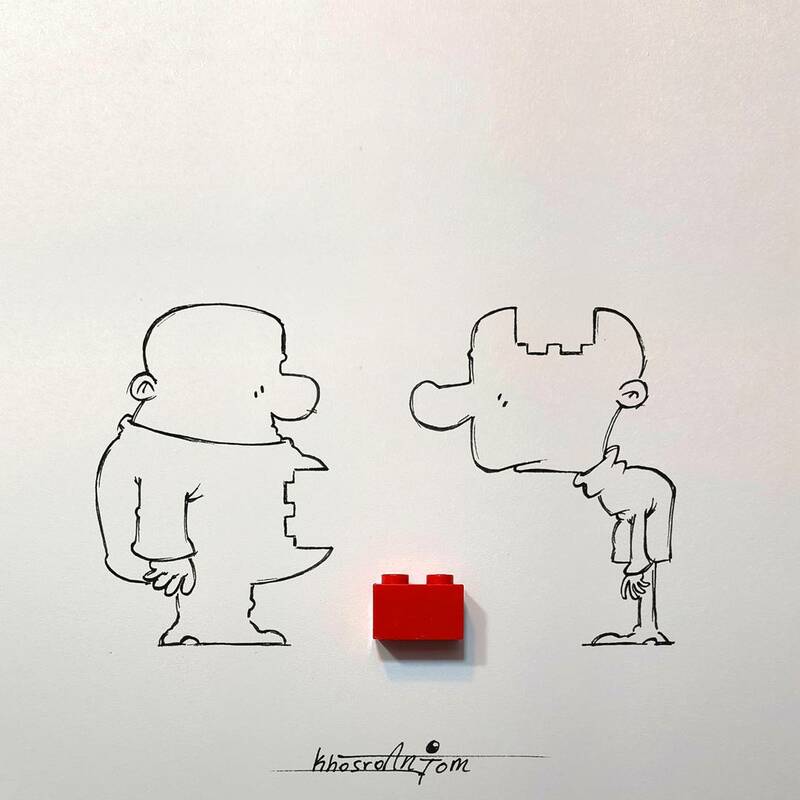 It could be a coin, a little padlock, a chess piece, some fresh fruit, a flower, some clothes or practically anything in fact. 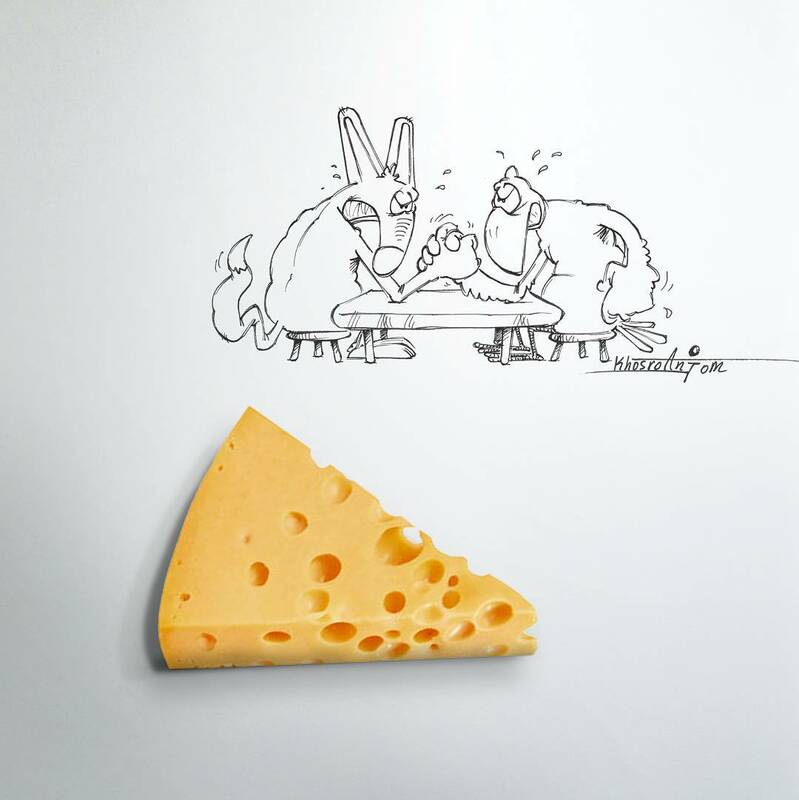 His cartoons take on more dimensions, becoming vivid satirical and humorous photocompositions. 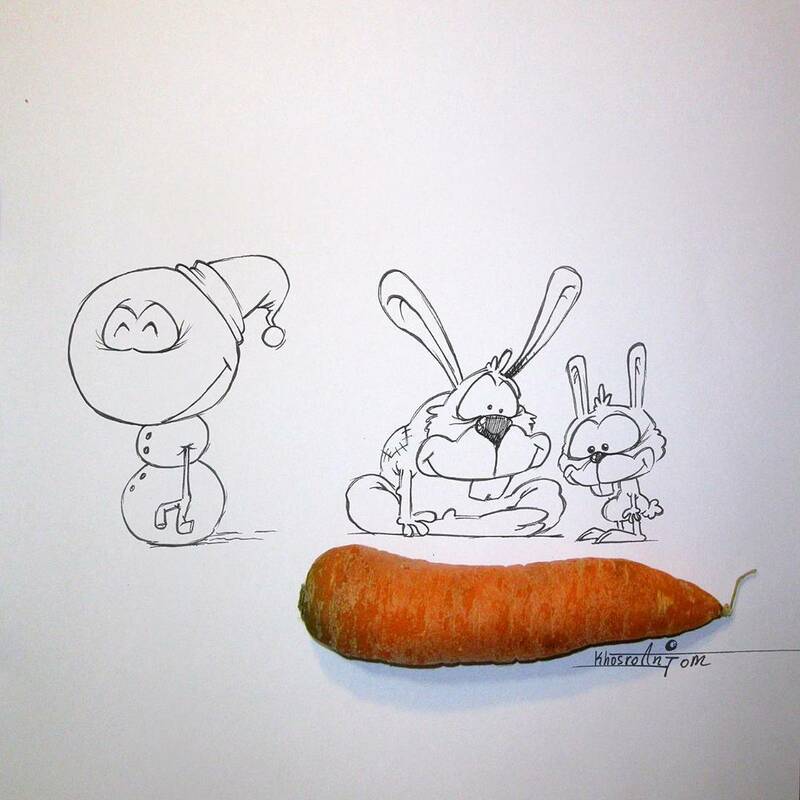 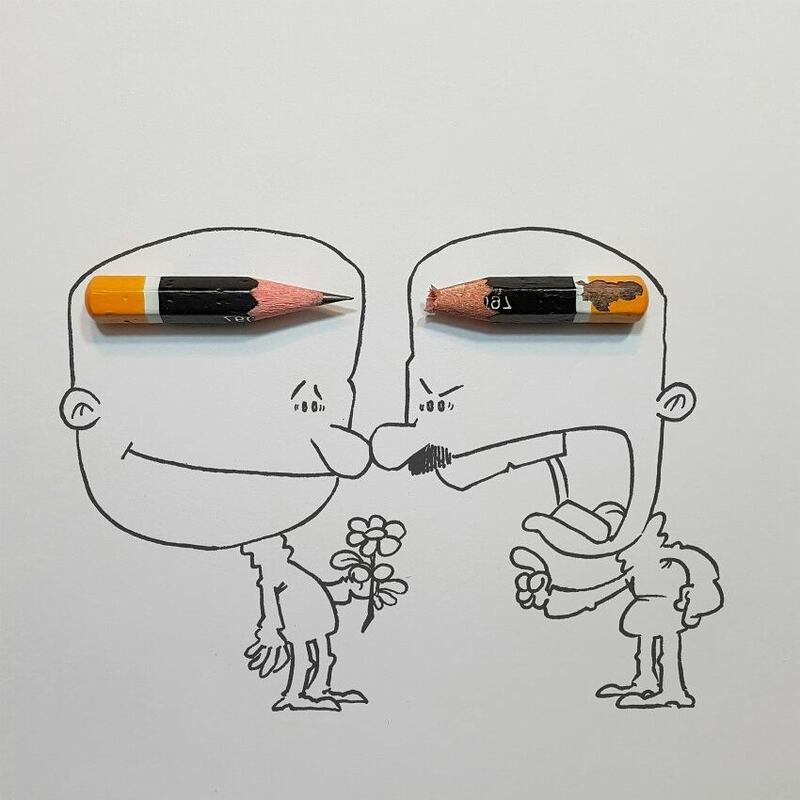 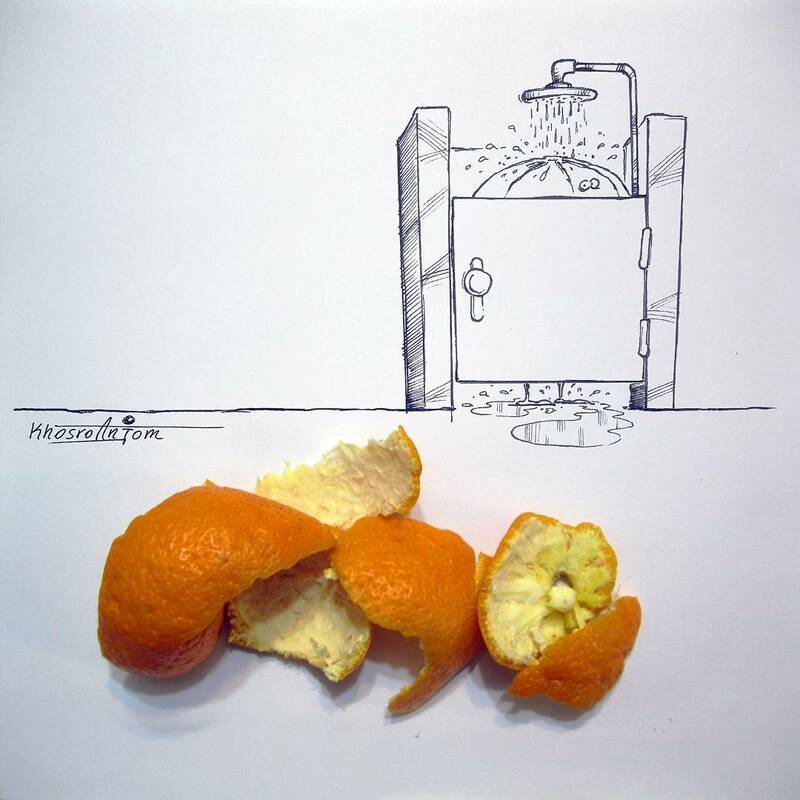 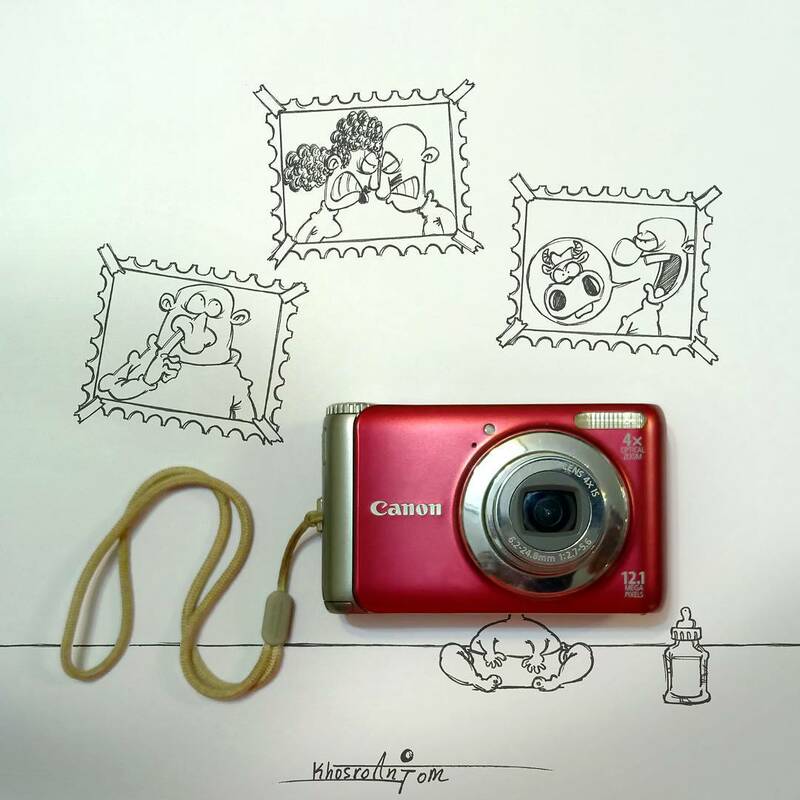 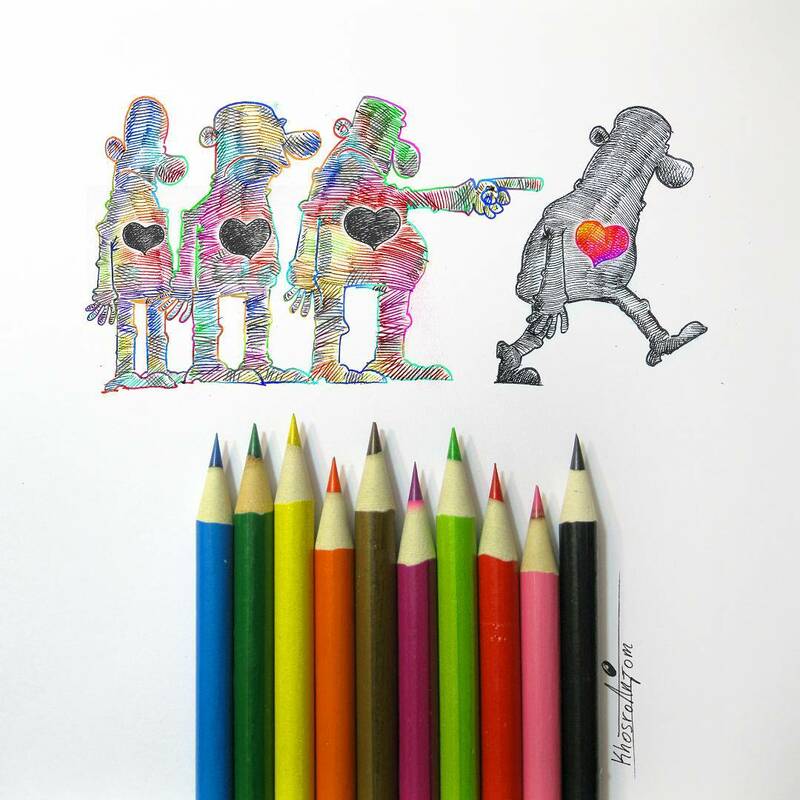 If you like these cartoons pictures – don’t forget to check 3D Pencils Drawings by Ben Heine.